One of the bigger briefs at Shillington was to create an identity for our hometowns. A central event or festival would form the basis for the campaign, and we were given a demographic in which the campaign had to appeal to. 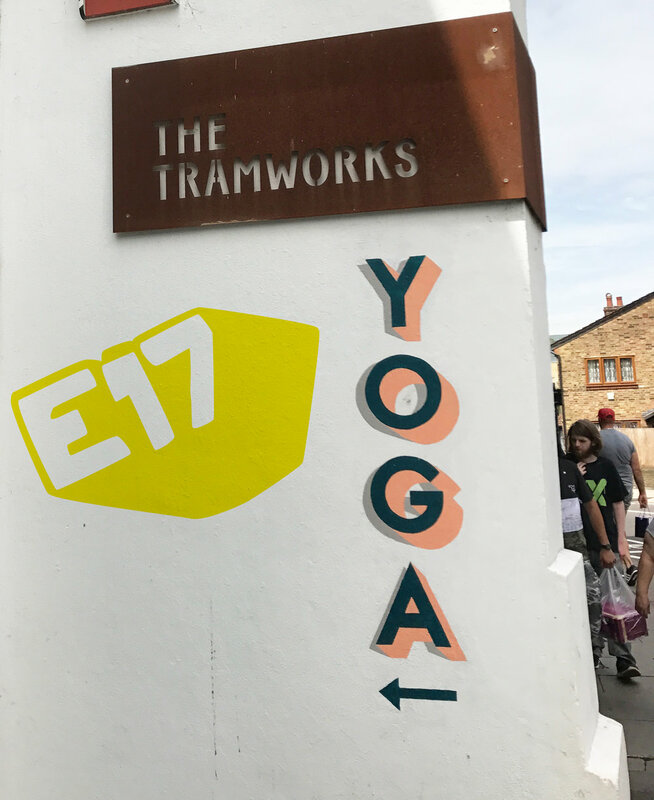 My hometown is Walthamstow in East London, and my demographic was families, so during the mood boarding stage, came up with a fun trail that would entice families to head to Walthamstow and create memories together. I wanted to incorporate the traditional side of the East End, using a cheeky and fun tone of voice, with black and white photography for a nod to the nostalgic and looking back to a bygone era. Hand drawn type formed the basis for the Walthamstow logo and graphic elements and phrases would form street stickers, guiding visitors through Walthamstow's art and culture areas, as well as green spaces of interest. 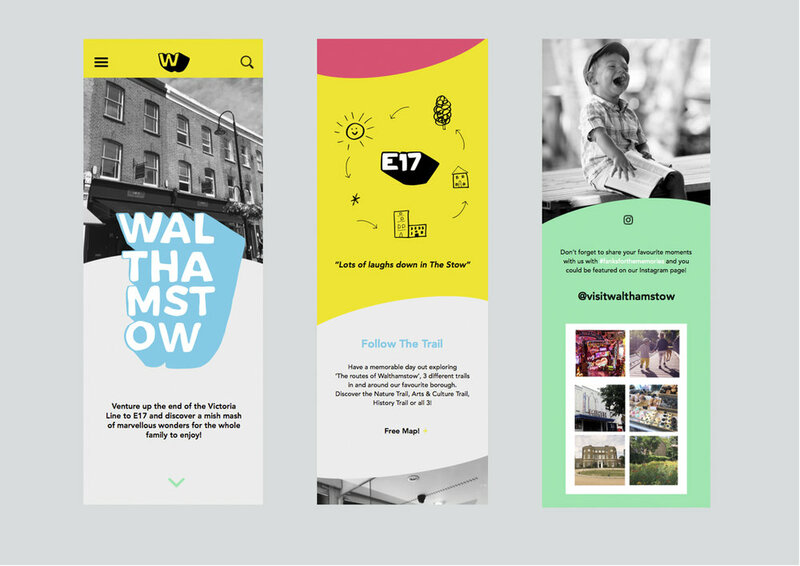 A mobile first website would be on hand to offer fun facts about Walthamstow, as well as offer a trail map and vouchers encouraging visitors to support small businesses in the Walthamstow area.